Spring is my favorite season, a time of renewal and rebirth. I love to take daily walks through my flowerbeds to see what plants are slowly pushing their way up through thedark fertile soil. 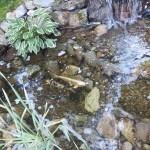 Along with my garden gazing I know that there are many garden tasks that need to be attended to; cleaning out flower beds, spreading compost and mulch and finally the annual pond cleanout. Last year I didn’t know that a simple water meter, the Assured Automation Economy water meter would save the day. 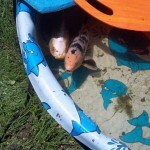 Every year, the koi and goldfish that have over wintered in the pond are caught and settled into a plastic baby pool while the family is recruited to help in the cleaning which involves emptying most of the water from the pond, removing debris, scrubbing down rocks, cleaning filters and finally refilling with city water . 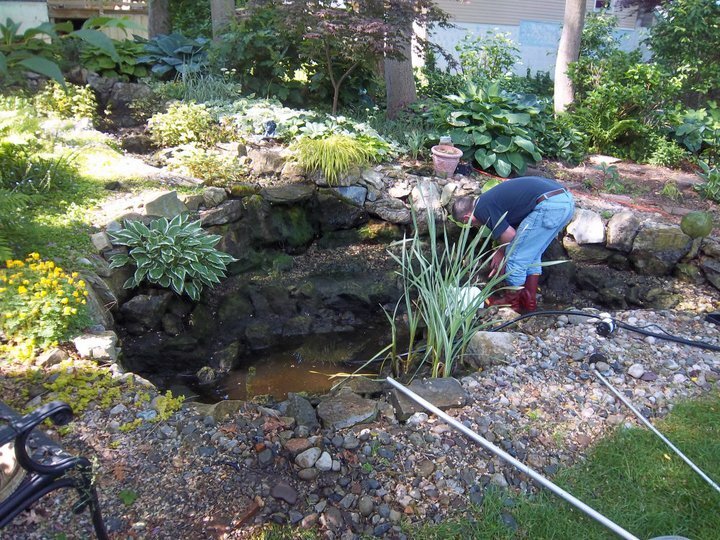 Back yard ponds are typically very easy to maintain, but last year New Jersey American Water changed its water treatment disinfectant from free chlorine to chloramine, a mixture of chlorine and ammonia. While chloramine use is safer for humans as it reduces the disinfection byproducts associated with chlorinated drinking water, it is toxic to fish. 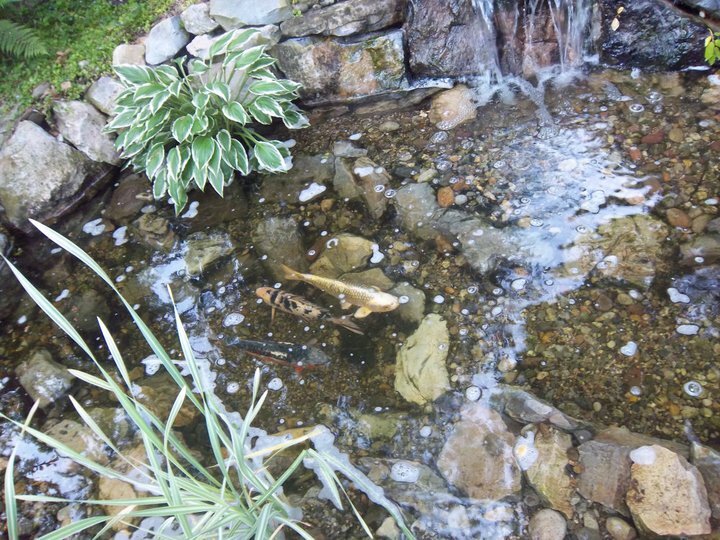 In the past, the chlorinated city water was easy to deal with as most of the chlorine gassed off quickly when water from the hose was added into the pond in a vigorous spray. As an added precaution an inexpensive, water conditioner containing sodium thiosulfate was added to ensure that all of the chlorine was removed. While shopping for pond supplies last spring, I ran into quite a few irate and upset individuals who didn’t realize our water company had changed the disinfectant and added the typical conditioning agent to the chloramine treated water-the chlorine was removed from the water but the ammonia was not. The results were disastrous! 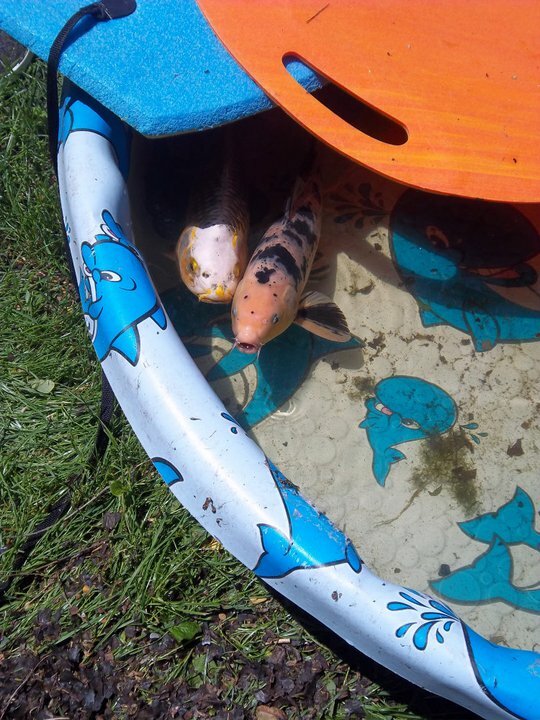 Many a pond owner lost all of their fish, and given that the typical lifespan of koi is typically 25 to 35 years, this was a terrible loss monetarily speaking as well as emotionally. I did some research and found that I could switch to a water conditioner based on sodium hydroxymethanesulfonate which would remove the chlorine and also convert the ammonia to a much safer state-the only downside to this product was that it was much more expensive. 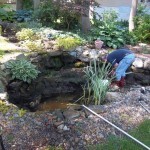 I needed a way to calculate the exact amount of water added back into the cleaned out pond. I successfully used the low cost, Made in America, Economy Series Water Meter by Assured Automation. It is a rugged, resettable meter that installs on the end of the hose, has a large easy to read display and is powered by two AAA batteries. Now I can calculate with confidence the amount of water conditioner to add to my pond, this is of great benefit to my fish as well as my wallet. This entry was posted in Flow Meter Case Studies, Flow Meters, Latest News and tagged Economy Series digital water meter, Flow Meters, garden hose water meter, koi, pond water meter, water conditioners, water meter. Bookmark the permalink.